What is a Maryland Living Will? Maryland Living Will: What Is It? 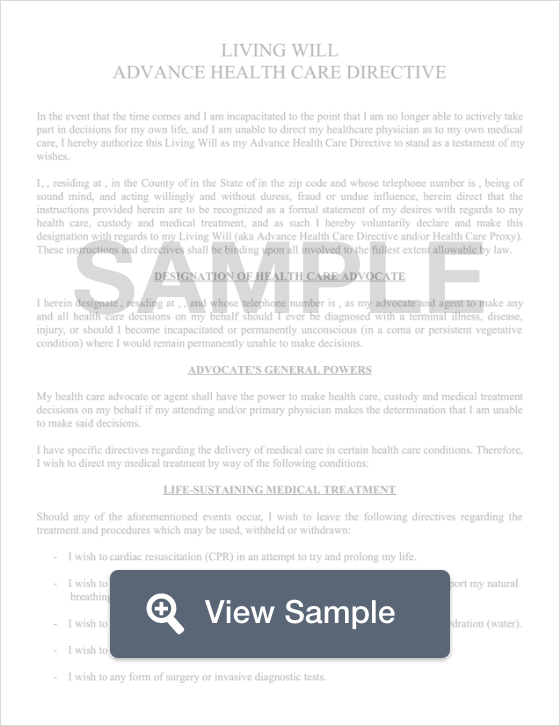 A Maryland living will is a document used to list your wishes related to your healthcare in the event that you are incapacitated. A Maryland living will is also used to name an agent to make medical decisions for you during the time you are incapacitated. A Maryland living will should have two witnesses, but it does not need to be notarized. § 5-601 through § 5-618: The law allows for an advance directive to be created both for medical care and for mental health services. The law also provides patients with the right to revoke an advance directive. A Maryland living will is an important document. It’s also important to create a Maryland last will and testament as well.